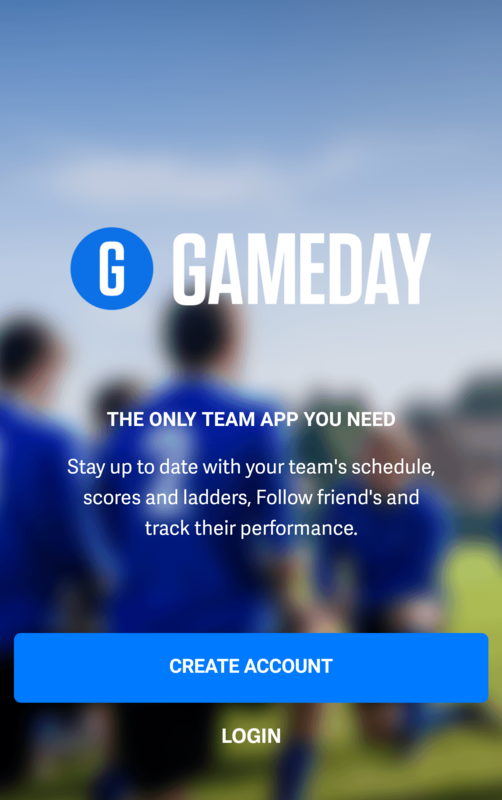 SportsTG is excited to re-introduce our Mobile App - GameDay. 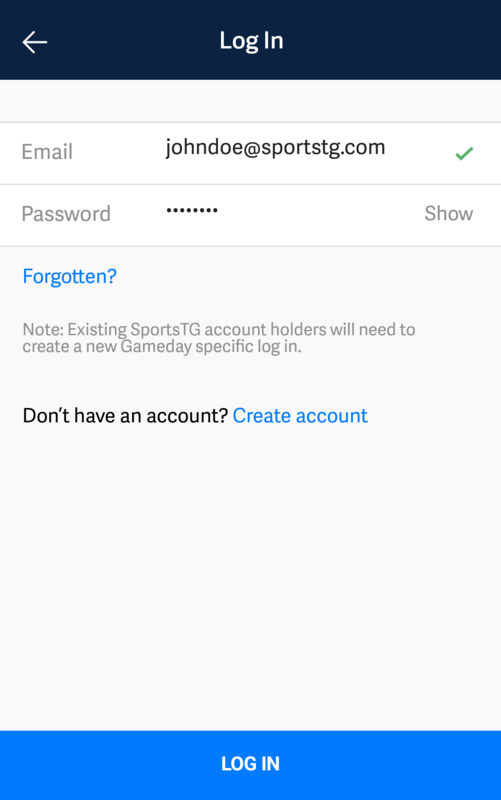 The following article will step you through using GameDay, which is currently available to download via the App Store and Google Play Store. Currently you must use a valid email to sign up to GameDay (support for social login for Facebook and Google will be supported in the future). Once you complete the account registration we will ask you to open your email on your phone and confirm the account creation. After you confirm you have access to the email we will check the our records and find any active players and teams associated to that address and link them to your account without the need for you to go searching for them. If we can’t find any records linked to that email address you can instead utilize our updated search functionality to find the information you are after. Below are the following instructions for logging into the GameDay app. 1. Select the Login in option on the Home screen. 2. Enter Email address and Password, used when creating an account. 3. Select blue Log in option on the bottom of the screen. 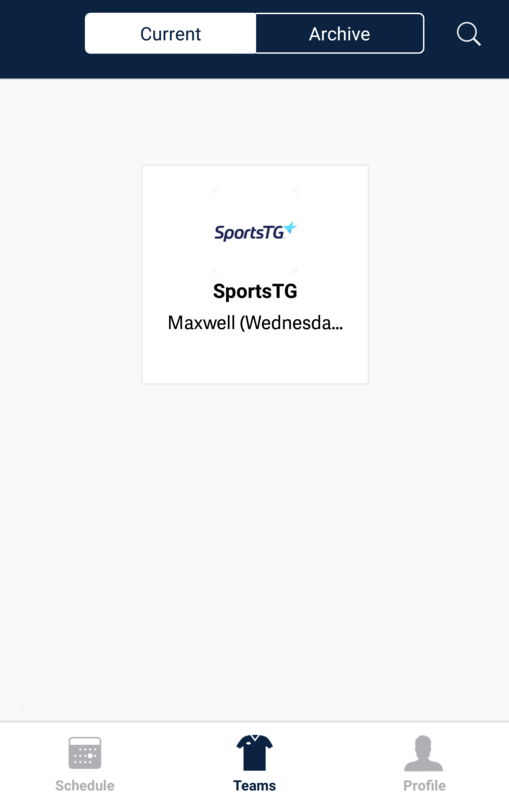 The home page for GameDay mobile is the schedule screen. Here you can see all upcoming games for teams you are following. 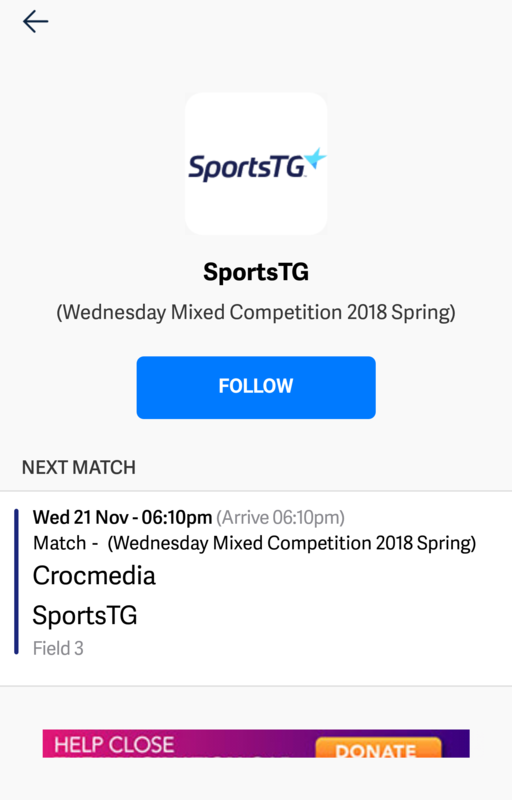 Tapping on each match tile will take you into the match Centre where you can view additional information about the match including venue details and results, stats and ladders. 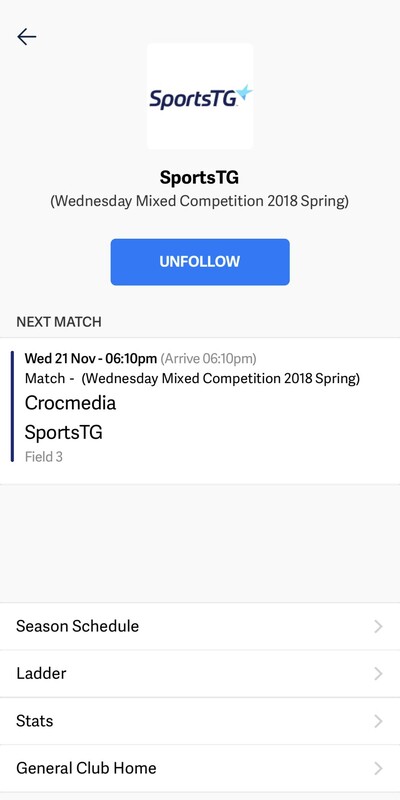 You can filter the teams you want to see in this view by tapping on the filter option in the top right hand corner and choosing which teams you want to appear in the schedule view. In the Teams tab you will be able to view all the teams that you are currently following. Teams may also display the name of the different individuals that you have selected to fallow. 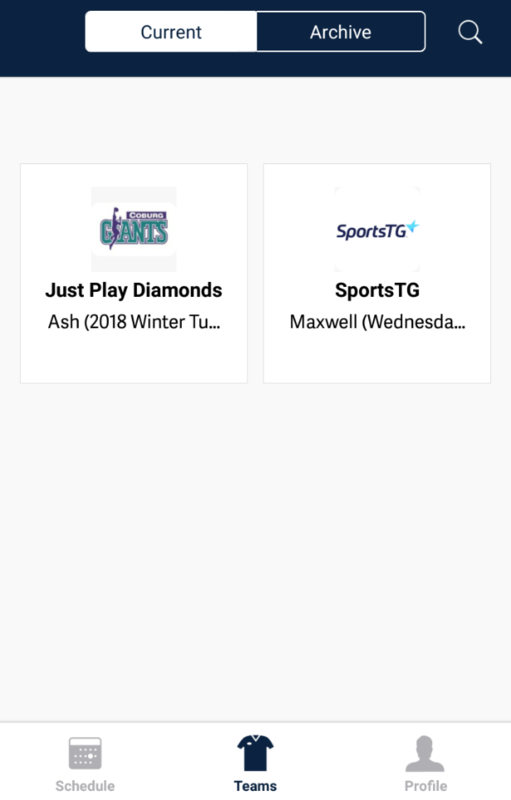 By tapping on a team in this view will allow you to access more information about each team including upcoming games, season schedule, ladders and statistics. 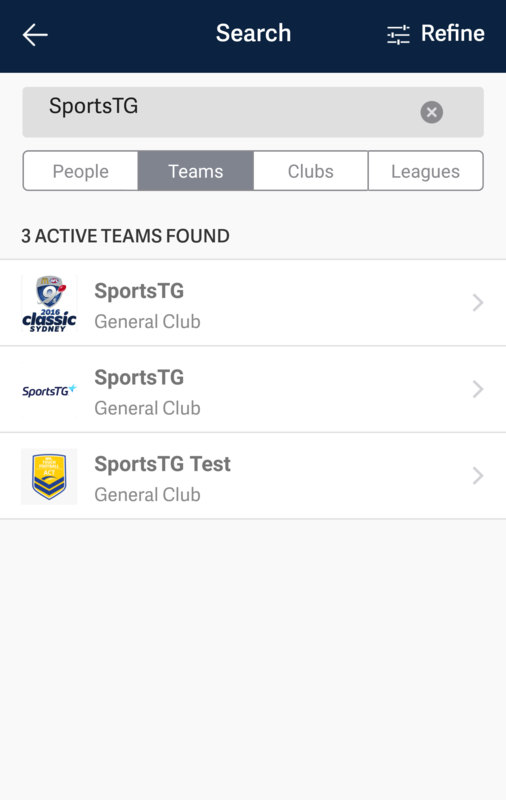 Also on the teams section is the search function to find and follow teams and players who have opted to display publicly. Also returning in the relaunch of GameDay is the team and league search along with the addition of club search. 1. Select the Teams tab at the bottom of your screen. This will bring up the teams you are currently following. 2. Click on the Magnifying Glass in the top right corner to search for your individuals or teams. You can also use the Refine option to help narrow search for a specific sport. 3. Once you have found your desired team click the blue Follow option, and the new team will be added to your Teams tab. The new match centre provides users with a dynamic experience. Prior to the game the match centre displays information about the upcoming games including map options for directions to the venue. Post game the section provides a full break down of the match including top performers, team and player stats, play by play (where available) as well as the competition ladder. To unfollow a team go to their profile and tap on the unfollow button. This will remove the record from your preferences including display on the schedule and team pages.